I’ll just start by saying I’m not affiliated with Usborne books – I don’t sell them, nor do I personally don’t know anyone that sells them. A friend of mine “hosted” an online Usborne Books party, where a sales rep posted a variety of book suggestions to those who “attended” the online event. I ended up doing a pretty big order of books. 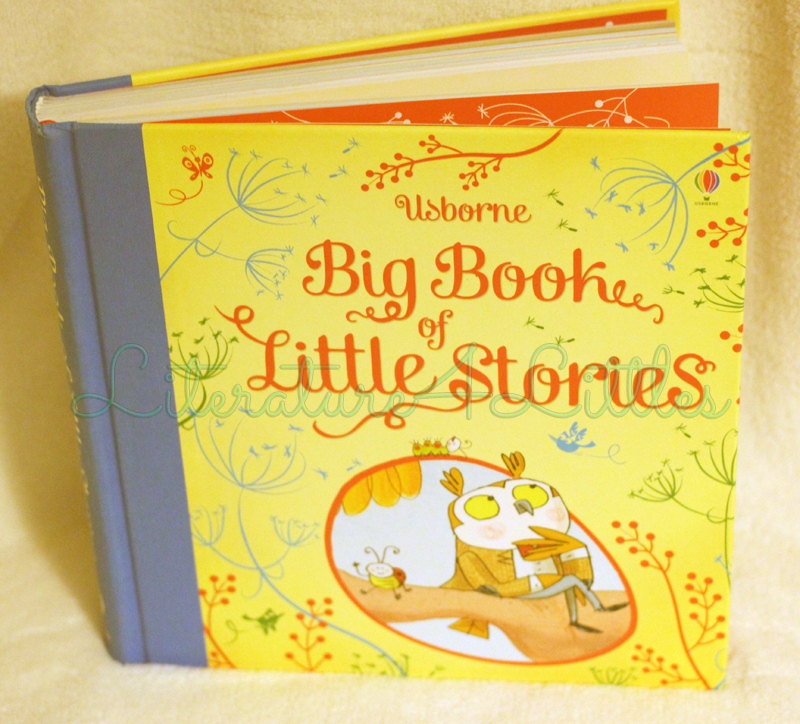 One of my favorites from my order is the Big Book of Little Stories. This is exactly what it sounds like – a thick collection of 15 short stories. The cover is a sturdy hardcover, the inside thick, glossy pages. Stories include classics like The Three Little Pigs, The Ant and the Grasshopper, and The Emperor’s New Clothes. 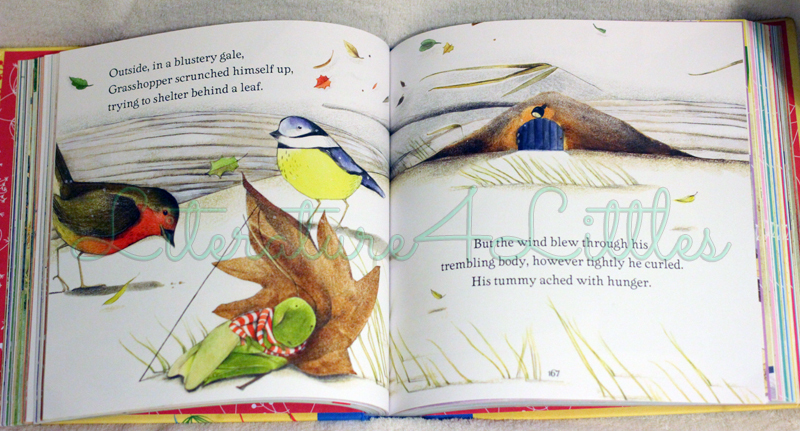 Each story is fully illustrated, and retold in very kid-friendly language. The illustrations are straightforward and pop with color. The length of these stories are perfect – read as many or as little as you want in order to make story time as long or as short as you want or need it to be. I also think this book would be a good one for a beginning independent reader. This collection of stories would be great for children 2 through early elementary.